I asked Jim some questions to learn more about his story. Then we discussed these five suggestions…. Simply put, objectives are general destinations, like increase distributor sales, improve customer satisfaction, lower operating costs or develop more effective managers. These objectives are helpful in terms of providing direction and vision. Objectives are the end-game. A broad objective gives you plenty of freedom because it leaves space for you to get creative. An objective lets you apply your experience and expertise to figure out how to get there. It enables you to be involved in the process, to be empowered. If you let it. If your boss gives you a general objective, the objective itself often won’t contain enough information for you to make it real. That was Jim’s frustration – not enough info, too little clarity. If you’re not clear, if you don’t have enough information – ask questions. Sit down with a piece of paper and brainstorm everything you want to know about the objective. Then, craft that data into your most pressing questions. Meet with your boss and talk through the questions. The answers will give you much of the context you need to move forward. In formulating questions, take a tip from journalists. As they research and write stories, they ask: who, what, when, where, why and how. What’s driving the need for this objective (why)? What constraints or guidelines do I need to keep in mind? What’s the business risk if we don’t reach the objective? How much (what’s the measure)? By when (what’s the deadline)? Objectives are broad strategic destinations. Objectives are the WHAT. Take the hill. Win the game. Increase distributor sales. They provide a vision. They can foster motivation. They give you a challenge. That’s where goals come in. Goals are the HOW. 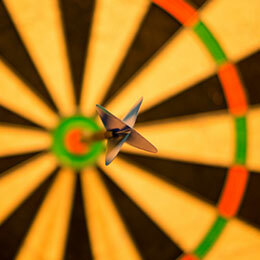 Goals are specific, tactical, measurable actions and results that move you toward the objective. They’re your “bets” on how you’ll hit it. Without goals underneath it, any objective lacks rigor and concreteness, even if you find the objective inspiring or challenging. So, you’ll need a plan. Now, you can really embrace the freedom within a broad objective because you get to develop your own roadmap for getting there – a plan comprised of specific, measurable goals. Take what you’ve learned from asking your questions above. Think about the things that need to happen or materialize along the way to the objective, including milestones, must-haves, constraints, how much, by when. Get creative and brainstorm on paper. As you formulate goals to support the objective, it can be helpful to use that age-old acronym, SMART, to guide you. SMART is a checklist of sorts for developing solid goals. Use the SM and RT to develop goals for your plan. In other words, as you write goals, ensure that they are Specific, Measurable, Realistic and Time-bound. As for making your goals Agreed-upon, that happens in the next and final step. Circle back with your boss (and other key stakeholders) and present the goals within your plan. Share your rationale behind your goals. Get their feedback and perspective. Based on what you learn, modify your plan…then GO! This final step helps you clarify and validate your goals. It also creates agreement and alignment with your key stakeholders, so you have the buy-in and support you need. Perhaps the greatest benefit? You’ll demonstrate to your boss and others your initiative, critical-thinking ability and commitment to moving the organization forward. Who wouldn’t want someone like that – like YOU – on their team?